A: The fundamental limitation of Xibu da Kaifa has been the continued alienation of the Tibetans. Though a large number of native Tibetans have been co-opted into various positions and programs, the policy has largely focused on Han Chinese being resettled in Tibet. They have also been the main beneficiaries. Besides, this region also remains sparsely inhabited by Chinese minorities with few urban centres to generate commercial activity, Lhasa being an exception. But China has also done work in building all-weather expressways, starting regular flights and, above all, operationalizing the rail link between Beijing and Lhasa which is being extended to other cities. Q: China aims to become a regional power by 2025 and a global power by 2050. However, securing complete control within its own boundaries has gained huge significance. How challenging is maintaining domestic stability for China? A: With China’s economic growth rates tapering down from 9 per cent to about 6.5 per cent in the last three decades, it has resulted in nationalism becoming another instrument to ensure regime legitimacy. Having emerged as the next economic superpower, China is today seeking to reclaim territories that it thinks were wrongly taken away from it. But instead of negotiating, Beijing seems to be using unilateral muscle-flexing to reclaim these territories, especially from weaker and vulnerable neighbouring nations. Chinese President Xi Jinping’s outline of the ‘Chinese Dream’ and his target to make China a “regional and global power are part of that exercise to ensure his regime’s legitimacy. Q: For the projection of China’s hard and soft power in the Western and Central Asian region, how pivotal do you think the Belt and Road initiative is to Xinjiang and Tibet? A: With President Xi being empowered like no other leader, his ambitious BRI has the potential to become the locomotive of China’s rise. By building infrastructure and other logistics of connectivity, this initiative seeks to rekindle the Middle Kingdom’s dream of all roads leading to Beijing. Poor nations are becoming willing partners to this scheme; though in the future, these nations will have to bear the burden of China’s indulgence that will create debt traps for a host of nations. In the long run it will most likely negatively affect China’s equations with these countries. Q: Is the ‘Hanization of Tibet’ and the marginalization of Tibetans through infrastructure development Beijing’s attempt to ‘control’ Tibet? A: In the 19th century Great Game among expanding empires of Czarist Russia, British India and China, the insurmountable plateau of Tibet was always seen as an impregnable territory. With the end of the British Empire in India and Russia getting entangled with European nations, China extended its control over Tibet in the early 1950s. Given this history — especially Younghusband’s expedition (1905) followed by the Simla Accord (1915) — Beijing saw Tibet as its soft underbelly, making it vulnerable to its South Asian neighbours, especially India, where the Dalai Lama fled in 1959 to set up his Government-in-exile. 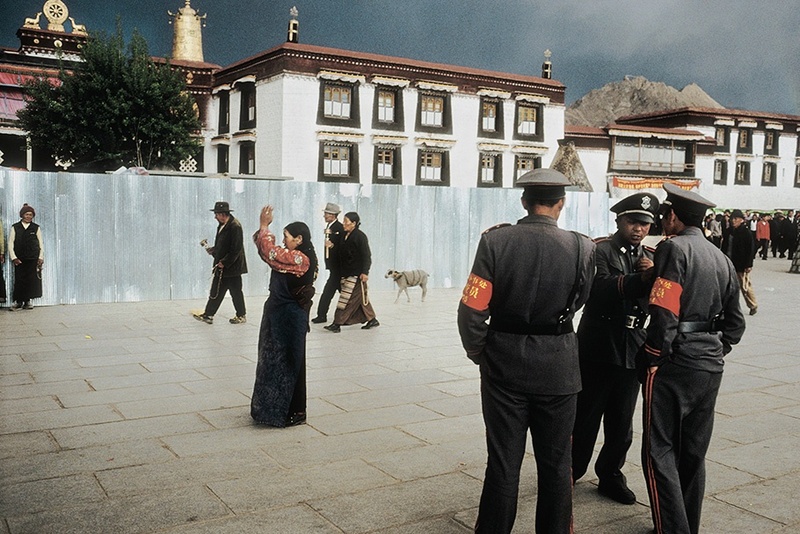 For several decades, Tibet was held as a fortress by the Chinese and it was only gradually, from the 1970s, that it was opened up to foreign visitors. Though China’s economic prowess and garrisons ensure control over Tibet today, continued unrest among Tibetans, both inside China and outside, and especially the iconic presence of the Dalai Lama in India, continues to cause paranoia in China about Tibet not being fully assimilated as a Chinese province. Q: Tibet is a multi-ethnic society with people from Se, Mu, Dong, Tong, Drum, Ra, and Bai… how is this diversity being managed by China? A: China has launched several affirmative-action policies to support its minorities. Yet, they stand to be marginalized. Especially, the Tibetans with their nomadic culture has allowed China to fill its urban centres with members of the Han ethnic group who today control most of the administrative and commercial levers in Tibet. Empowerment of Tibetans in that sense is mere window-dressing. Both in Xinjiang and Tibet, these minorities are often categorized as Muslim and Tibetan but have dozens of sub-categories with strong identities, which have allowed monolithic Han ethnic identity to subsume the centre, pushing these minorities further to the periphery. Q: What is Protected Area Permit (PAP) scheme? Do you think that by promoting or relaxing PAP, China is trying to control visitors to India’s frontiers even as it promotes ‘border tourism’? A: Both China and India remain sensitive to their remote border regions and have institutionalized special permit provisions to disallow free thoroughfare and access to their border areas. The main difference is that China’s infrastructure building in these remote border regions has been relatively efficient. Having travelled on both the Tibetan/Chinese and Indian side of the border, I can vouch for the difference though both sides have their limitations in accessing uninhabited terrain. Q: China has constructed an elaborated network of roads in Tibet which includes both national highways and provincial roads. Indians, on the other hand, are migrating to cities and border areas’ population is shrinking. Comment. A: China’s economy is a $13.6 trillion one and India’s economy stands at $2.6 trillion. This tells us how much economic resources are available to both sides to pursue their national priorities. China surely has earned a reputation for infrastructure building though India has also been making efforts to provide more comfort for both the Armed Forces and the population that lives in these remote border regions. Only the scale and speeds are very different and this asymmetry is on the rise and needs to be calibrated in India-China policy. Q: China is also working on building road infrastructure in terms of its ‘long-term goal’. What would be the impact of road infrastructure near border areas on India in terms of national security? A: China’s juggernaut of infrastructure-building in its frontier areas facing India is a reality that cannot be ignored by New Delhi. China has already brought the railways to Shigatse and has carried out feasibility studies for its extensions to Bulang, Gyirong, and Yadong. China’s historic feet in building railroads using permafrost technologies in snow-capped Kuen Luo and the Himalayan ranges to reach Lhasa provides credibility to its commitment to undertake these extensions. Besides, Nepal seems equally excited to participate and facilitate connections to Kathmandu. Bhutan may also be lured by Beijing in coming times. It’s a tough choice for New Delhi to make as to whether it wishes to allow this rail network to connect with India’s in Nainital, Siliguri, and Guwahati or stay away from it. Both decisions will have their costs and benefits. Q: According to Beijing’s narrative, Tibetans have enjoyed the benefits of growth. However, Tibetans have been arguing that they have been excluded from growth and been relegated to second-class citizenship. A: China’s incentivization of Tibetan minorities has not been fully harnessed by the Tibetans, given their nomadic culture and spiritual values which are broadly non-materialistic. Besides, continued disjunction of Tibetans, torn between Beijing and their Government-in-exile in Dharamshala, has been a constant source of anxiety and uncertainty. As a result, invariably, Han Chinese have remained the major beneficiaries of most pro-Tibetan policies, leaving Tibetans on the margins. The interviewer is Principal Correspondent, The Pioneer.